Hello! Hope my American friends had a lovely 4th of July weekend! We spent ours on a military base celebrating with fellow soldiers and military families at the Fort Hood Freedom Fest. There’s nothing quite like feeling the boom in your chest from a 50-gun salute to the nation or hearing the 1st Cavalry Division Band playing “The Star-Spangled Banner.” My dad retired from the Air Force and my husband is in the Army; military life is the only life I’ve ever known and I wouldn’t have it any other way. God bless America, land that I love. Are you drooling yet? Timisha did an amazing job! 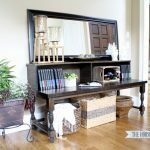 She wanted her tabletop to be extra thick, so she glued boards together to get this chunky look. 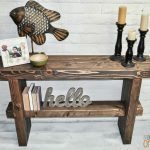 She’s written up a great tutorial on her site with a lot more photos and building tips, so be sure to visit Toolbox Divas for the full run-down. Timisha even included a helpful video! How awesome is that? 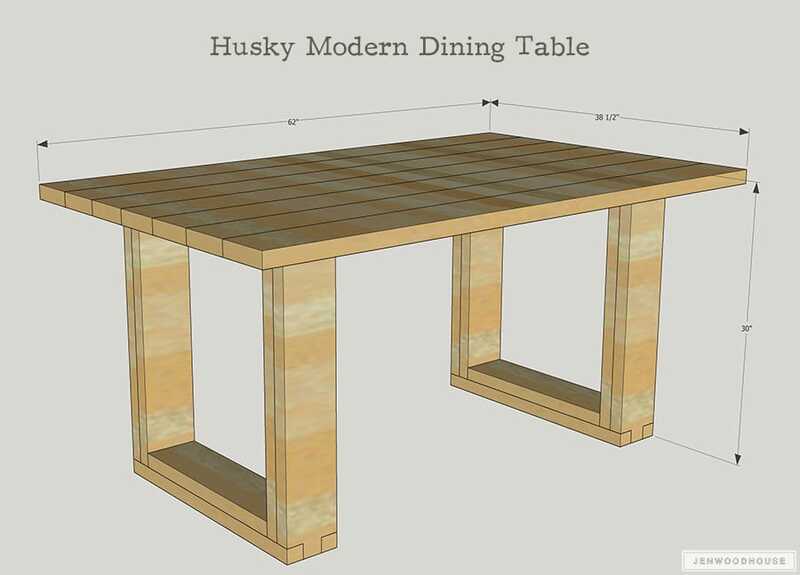 Are you ready to build your own DIY Husky Modern Dining Table? 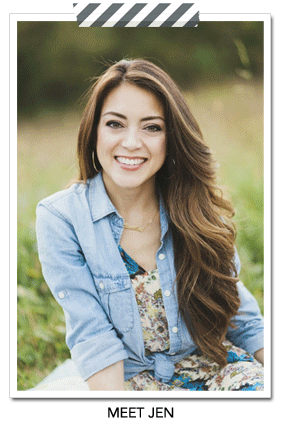 I’ve got you covered with the free plans! 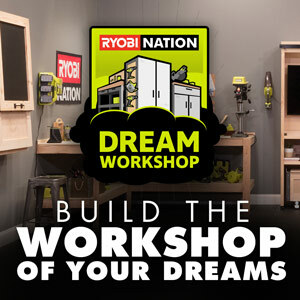 Click the button below to download the plans, then head over to Toolbox Divas for more photos and info. A big thanks to Timisha for crushing this project – it’s so fun to see my plans come to life. And thank you for visiting! 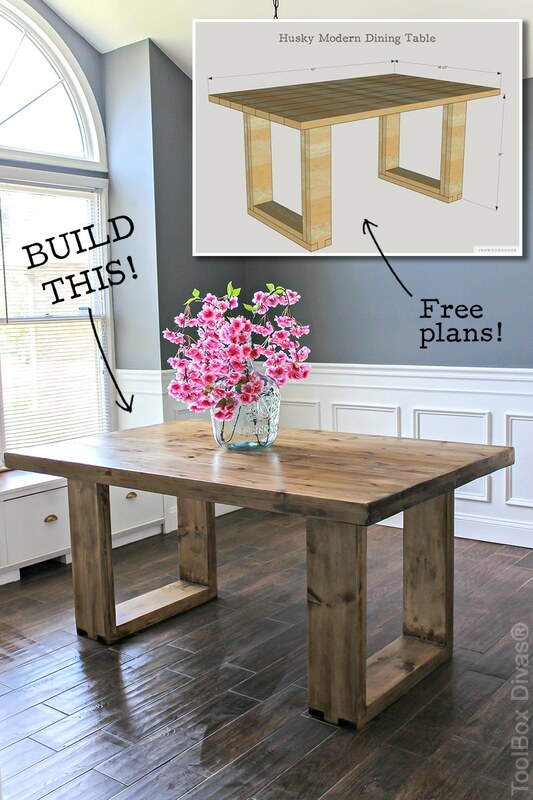 If you love this DIY Husky Modern Dining Table, please PIN and SHARE it! So wonderful when creative minds come together to make something great and the readers benefit too! You ladies hit a home run here. Nicely done. Can you tell me what stain was used on the table? Beautiful table! 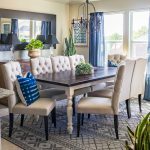 What color is your dining room painted? It’s stunning. 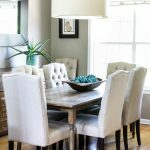 What color paint is the dining room and where did you get the lamp shades for the fixture. Love your page. Tables are fantastic. in the drawing and plans for the table, I see the top I see regular 2″ (1.5″) thickness. But in the finished product pictures, the top looks thicker and I can’t tell how you added the extra thickness. Did you add mother layer of wood, similar to the legs? 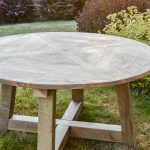 I love a thicker top, but am unable to find wood thicker than 1.5″. Did you find a solution to your question? I am curious about the same thing. Looks great!! Do you have the source on your chandelier? 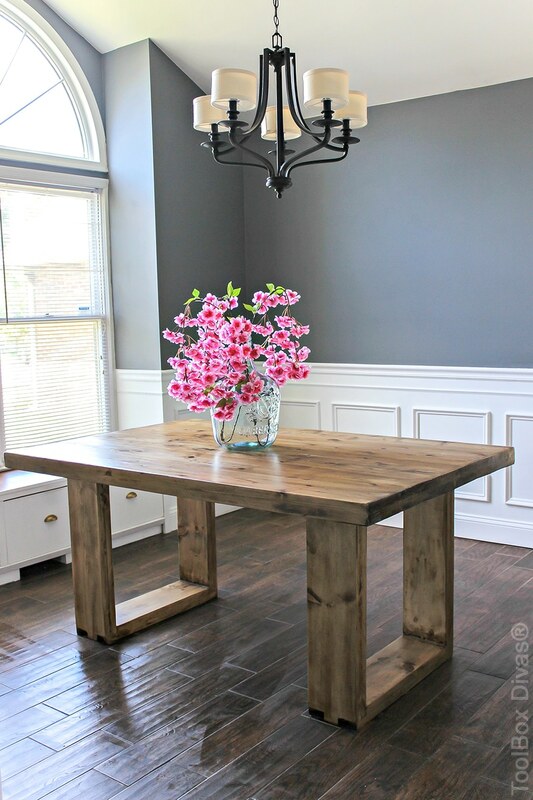 This table looks awesome! 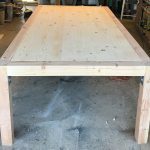 The plans mention 62 inches for the tabletop, but the picture and YouTube video seem to have longer cuts of wood for the tabletop. Is this my imagination or is there a difference between the plans and the videos/pictures? Do you have the SketchUp model available for this table? 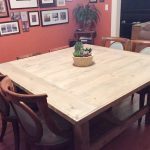 can you tell me what kind of wood you used to build this table ? Hi all. I am getting a considerable amount of wobble. I don’t see that I missed any steps. Any suggestions? 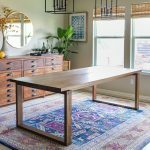 I am thinking of building this table as well but am also worried about the stability. did you find a solution to this problem? Thanks for writing! What problem are you referring to? As far as I know, this table is sturdy and stable. How many inches would you add to the leg cuts to make this counter height?